Radars have long been used for detecting objects far away and mapping them on a display. With a number of military and arial applications radars are widely used these days. This advanced Arduino sonar system can be used to monitor local patch area and can also scan suspicious object. With the help of this sonar radar project we can prevent the enemies from reaching near a target and thus many lives can be saved. We here propose to demonstrate this concept using arduino based radar project. 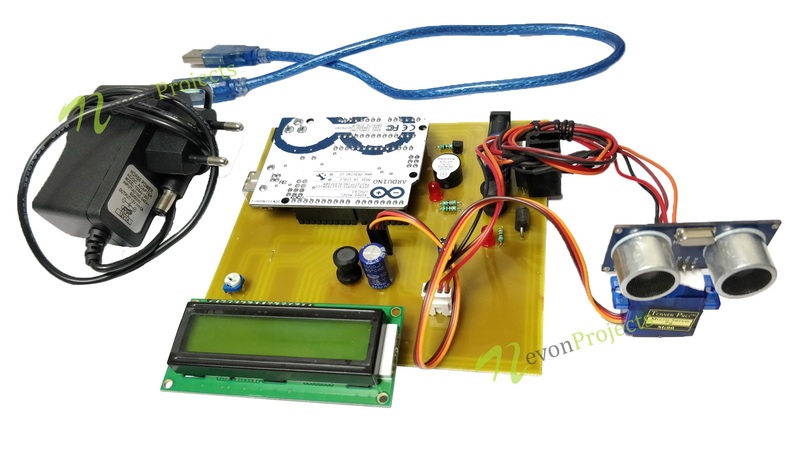 This Arduino sonar project system continuously scans the area and gives a beep sound on detecting an object, simultaneously, the radar provides the angle as well as distance of the object from the source. It makes use of an ultrasonic wave to simulate sonar or radar sweep. It is mounted on a motor to create sweep angles and rotate the sensor. The input thus obtained is sent to a screen display to show it in form of a graphical radar blip. Our system helps in tracking the exact position and trace the path followed by the object.